The peach tree - Prunus persica, is a hardy deciduous plant native to Northeast China. Be that as it may, the species name persica refers to its widespread cultivation in Persia (modern–day Iran). It is a popular garden fruit tree due to its edible juicy fruit commonly known as a peach. The similar-looking nectarine is a smooth-skinned sport (mutation) of the peach, but has proven to be less hardy. 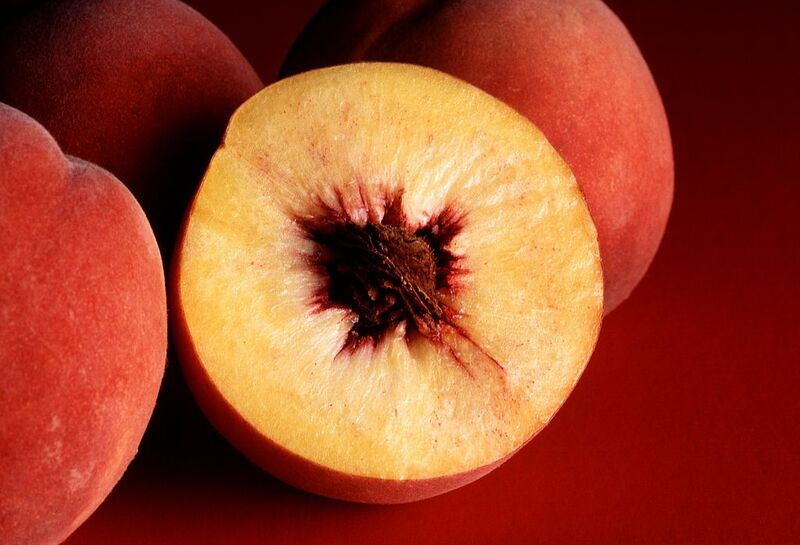 Unlike many other genera of commonly grown fruit trees, peaches are among the few fruits which can provide good results when propagated from seed, including those of imported supermarket fruits! The best time to sow peach stones in from September to October. 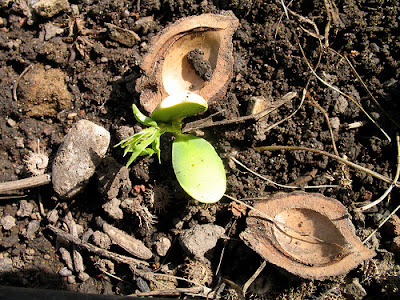 Prior to sowing, remove the stone from the fruit and place it in a bowl of water to soak off any of the remaining fleshy pulp. This is important as the pulp contains germination inhibitors. If the stone floats then it is not viable so only sow stones which have sunk. Air dry the stones for a day or so then remove the seed from within the stone before sowing using a nut cracker. 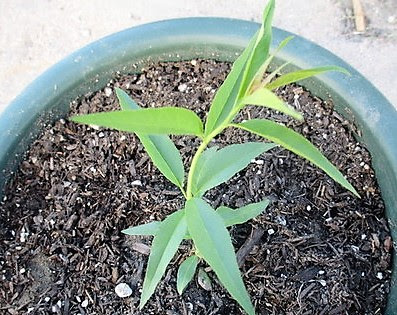 Try to avoid damaging the seed. Sometimes you can even find seeds germinating while still in the stone! Set each seed singularly in individual 13 cm pots containing a good quality compost such as John Innes 'No.1'. leave a 5 cm gap between the surface of the compost and the top of the pot and position the stone 5 cm below the surface. Gently water the compost, then fill the 5 cm gap above it with a dry mulch such as straw or horticultural grade gravel. Place your pots outside into a cold frame or greenhouse. If possible, and to speed up germination times, maintain a minimum temperature of approximately 7-10 degrees Celsius. Allow the compost to dry out before watering. Come the spring all viable seedlings should have emerged. Pot on once the root system as established in the pot using a loam-based potting compost such as John Innes No 3. Avoid disturbing the roots. When planting outside into their final position, peaches generally perform best when fan trained against a south or south-west facing wall. To avoid the fruit skins from splitting over the summer, plant into a moisture retentive, well-drained soil. Do not allow the soil to dry out of the summer and avoid irregular watering. Why are the Leaves on my Peach Tree Curling?